Check theses great story collections out HERE! I am featuring Jane Ciabattari here because A. she's amazing and B. Her whole collection is amazing. 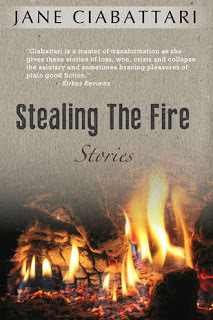 Set in the San Francisco Bay Area, El Salvador, New York City, Montreal, and Montauk, the haunting stories in Stealing the Fire throb with the joys and pains of life-changing events. And check out my interview with Jane Here!